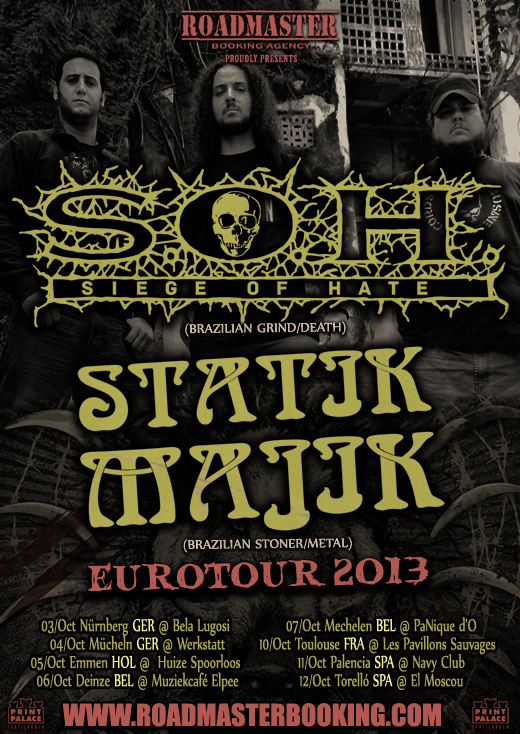 The agency Roadmaster Booking is proudly announcing the European Tour 2013 of the Death/Grind band SIEGE OF HATE together with the Stoner/Metal band STATIK MAJIK. The tour will take place in October to promote the last releases of these two promising bands of Brazil. The have gigs confirmed at Germany, The Netherlands, Belgium, France and Spain.